Ridgefield Floral has been hand-delivering premium floral arrangements and gift baskets to help strengthen relationships, give love and support, and celebrate life’s special moments since 1996. From birthdays to anniversaries to commemorating a loved one, and every little “just because” moment in between. 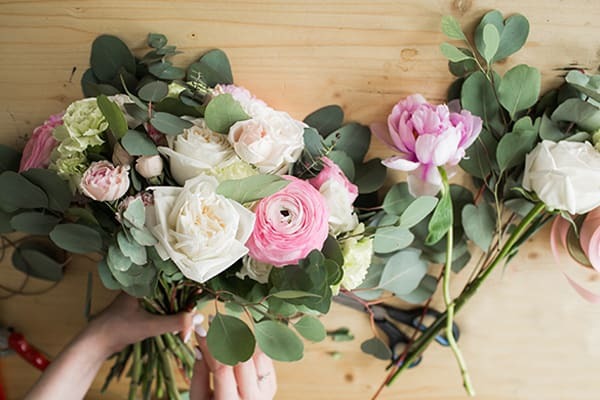 With FREE* Same Day Delivery in the Ridgefield, WA area, we are dedicated to helping you find the perfect flowers to deliver your message and enhance your special occasion. Our stunning arrangements will allow nature’s beauty to inspire your special moment. And because we are a local florist dedicated to your satisfaction, you can always expect your needs to be treated with all the attention to detail they deserve. Choosing our Florist’s Choice Bouquet gives your gift that personal touch. Once we have expertly handcrafted your order, we will ensure it arrives at its destination on time, hand-delivered. Impress your friends, family, and loved ones with a heartfelt gift from Ridgefield Floral. Ridgefield Floral is a quaint little Flower & Gift shop in the heart of downtown Ridgefield. I'm Teri Paterson and I'm the owner of this cute shop. I wandered into the shop one day to order a corsage for my daughter's homecoming dance and saw a "For Sale" sign on the counter. Right then and there I knew this was something that I wanted to do. What could be happier than being around such beautiful and wonderfully smelling flowers! So.... with the help and inspiration of my daughter Kelli, we are making people happy everyday with the beautiful flowers and lovely gift selections we carry. Of course we couldn't do it without our fabulous staff. We have three very talented designers, Tammy, Tami & Jane who make the most incredible arrangements. Between them we are able to offer many, many years of quality service. We hear almost daily how beautiful our arrangements are. And Rodger, our delivery driver makes sure to get your arrangement delivered safely to your door. In addition to the wonderful flower arrangements, we offer many different gift basket arrangements... with more to come. We also have many gift items that we can also deliver for you. We're also happy to ship gift items out of the area. Here are a few of the gift items that we will carry all the time. Library of Flowers collection of perfumes, lotions, bath salts, candles & soaps, these smell incredible and the packaging is fantastic. Fire & Light hand poured glass items in the most beautiful colors. These include beautiful candy dishes, vases, jewelry cache's, soap dishes, candle holders & more. Lijah Hanley photography. Lijah is a local photographer with an incredible eye. His prints are a must see! Local (Battle Ground) chocolate by Whimsey in salted caramel assortments, & various flavors of truffle assortments, Holly Yashi jewelry in incredible colors, A full line of Lavender products, Homemade candles by a local Ridgefield company The Ship Chandler. The scents are heavenly... and we carry a wide variety. The packaging is super cute too! Victoria Emerson wrap bracelets, and many more items. Just give us a call and we can chat about what type of gift item to deliver for you. And.... if you're local, please come in and take a look! We have an awesome team and we love what we do. Thank you for visiting our page and please stop in and say hi... we'd love to meet you!